To use the search feature in the app, select the Search Location button. 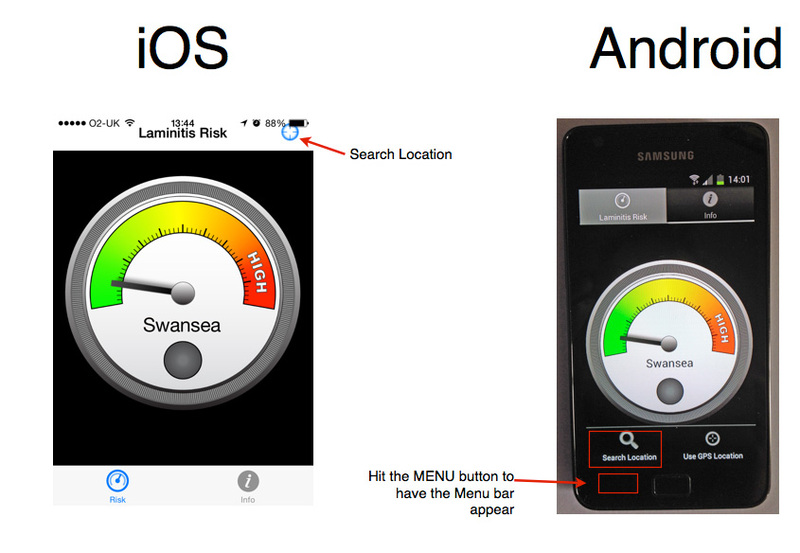 See the below graphic to see how this is achieved on the different platforms iOS and Android. On some models of Android phone you have to press and hold the button to the left of the Home button in order for the MENU feature to appear.